The Iraqi Prime Minister has once again refused to join the Saudi-led bloc in the regional diplomatic row opposing Qatar and its neighbors. Haider al-Abadi Sunday said “no” to Bahrain’s invitation to Iraq to join the Saudi-led bloc, including Saudi Arabia, Bahrain, United Arab Emirates (UAE) and Egypt, and cut ties with Qatar, The New Arab noted citing anonymous Iraqi sources. The Iraqi leader’s “no” came during a meeting with Bahraini Foreign Minister Sheikh Khalid bin Ahmed Al Khalifa in Baghdad. “The hour-and-half-long meeting between Abadi and Sheikh Khalid in Baghdad’s green zone touched on several pressing issues,” a high-ranking Iraqi official told The New Arab. “The Bahraini minister brought up the Gulf crisis and the allegations of Qatar’s support for terrorism and the damage it has caused Iraq,” the source added. Relations between Qatar and its neighbors have fallen apart since June 5 after the bloc accused the tiny emirate of supporting terrorism. The boycotting countries cut air, sea and ground links with Doha. 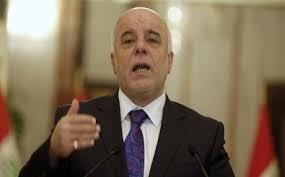 Saudi Arabia, and UAE reportedly tried last month to drag Baghdad into the spat but Abadi pushed off their requests. Several Muslim countries, namely, Yemen, Libya’s eastern government, Mauritania, Comoros Islands, Niger, and the Maldives have sided with the Saudi-led bloc.